DASH is looking for Seasonal Shuttle Operators for the Summer 2019 season! If you want great pay, flexible hours, and potential housing assistance, apply today! Friendly and courteous demeanor with a love for interacting with people. All qualified candidates, please apply here. The Seasonal Shuttle Operator position description contains basic job responsibilities and terms. 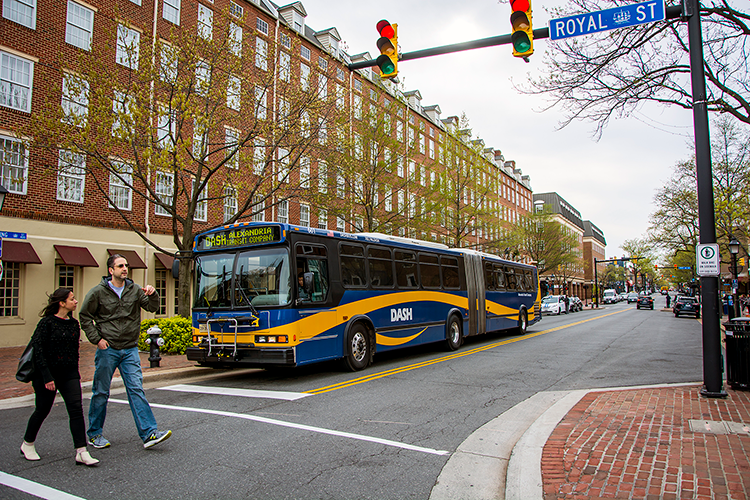 The employer is Transit Management of Alexandria, Inc. (TMA), the operator of the Alexandria Transit Company’s “DASH” bus system. Work opportunity is available from May 24 through September 2, 2019, but seasonal operators are not required to work the entire period. Seasonal operators may have the opportunity and/or requirement to complete training prior to the opening date of May 24. There is no guarantee of employment past September 2, 2019. Seasonal Shuttle Operators will be responsible for filling work (runs, support roles) for a special summer shuttle operation only. Seasonal operators will not have the opportunity to bid on regular DASH routes. Seasonal Part Time: Flexible scheduling based on amount of work desired and availability. Must work a minimum of 8 hours per week. Seasonal Full Time: You will be guaranteed 40 hours of work per week. There will be opportunity for overtime if desired. Bidding a regular package of runs. Commit to fully availability for runs to be assigned on a daily basis by TMA. Housing Allowance: Seasonal Full Time Operators will be eligible for a housing allowance equal to the lesser of 75% of actual housing expenses or $1,500 per month. For example, if you rent a temporary apartment for $1,800 per month, your housing allowance would be $1,350 per month (75% of actual expenses). If your rent is $2,200 per month, your housing allowance would be $1,500 (75%=$1,650, but $1,500 overall limit). Housing Allowance Requirements: The eligibility requirement for the housing allowance is a minimum average of 40 hours actually worked for at least 8 cumulative weeks during the employment opportunity. The weeks do not need to be consecutive. The allowance will be paid to eligible seasonal operators on or about the first day of each calendar month during the employment opportunity (June 1, July 1, and/or August 1, 2019). If the minimum eligibility requirement is not met for whatever reason (resignation, termination, etc. ), any housing allowance paid to date will be withheld from the seasonal operator’s last paycheck. Training pay is $13 per hour. Length and scheduling of training period will vary depending on the applicant’s skill level and experience, ranging from a few days for experienced transit bus operators to several weeks for less experienced applicants. Base pay in shuttle service is $17 per hour. Overtime is available per TMA’s regular overtime policy. All applicants must possess an appropriate Class B or A CDL that permits air brake operations and public passenger endorsement. CDL must be in good standing. All applicants will be subject to a criminal background check, drug/alcohol screening, DOT physical exam, and examination of driving history record. A valid, non-expired DOT physical card from another job will be accepted. Experience operating a transit, charter, or intercity bus is highly preferred. Employment is on an at-will basis.